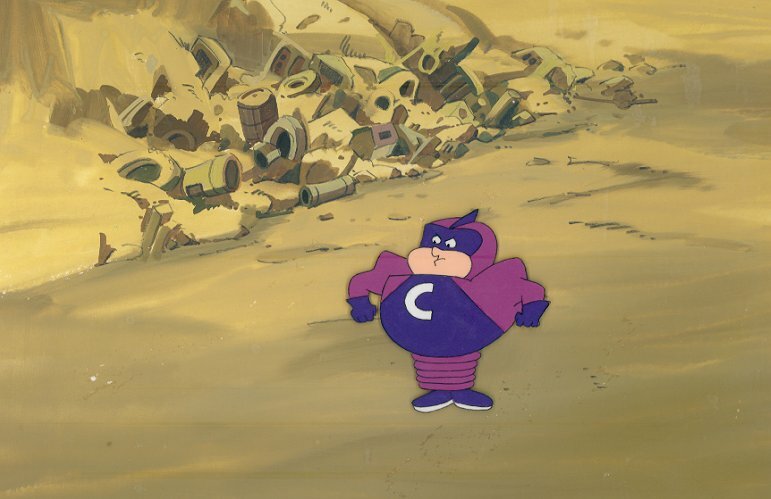 This is an excellent original production cel of Coil-Man from the "The Impossibles" segment of Frankenstein, Jr. and The Impossibles (1966). The untrimmed animation cel measures 10.5" x 12.5" and has been placed on a 9" x 12.5" production background which is likely from a different production. The image measures 4.5" x 1.5".